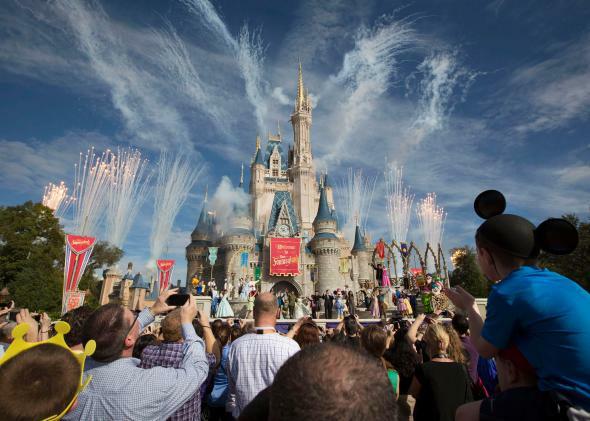 Disney bans selfie sticks in theme parks, citing safety concerns. It’s a selfe-stick-free world after all. In a win for selfie stick–fearing tourists everywhere, Disney said Friday that it is banning the device from its theme parks. Lately, the gadgets had “become a growing safety concern for both our guests and cast,” a Disney spokeswoman explained to CNN Money. Disney had already banned selfie sticks on rides but was reportedly still struggling with rogue park-goers who would sneak their devices on board and then whip them out, sometimes causing the ride to grind to a halt. The ban is scheduled to take effect at Disney’s U.S. theme parks on Tuesday, and to be implemented at Disneyland Paris and Hong Kong on July 1. Going forward, visitors attempting to bring selfie sticks into a Disney park will be asked to check them at the main entrance. Behave yourselves, people! Does this spell the final doom for our cultural obsession with snapshots, with selfies, with moments? Disney isn’t the first to ask patrons to lower their selfie sticks. The Smithsonian and the Metropolitan Museum of Art imposed similar bans earlier this year. Who knows what other institutions might be next? In the meantime, we’ll file this one away as another victory for consumer safety. Between that and the recall of Lululemon’s face-attacking draw strings, it’s been a big week.